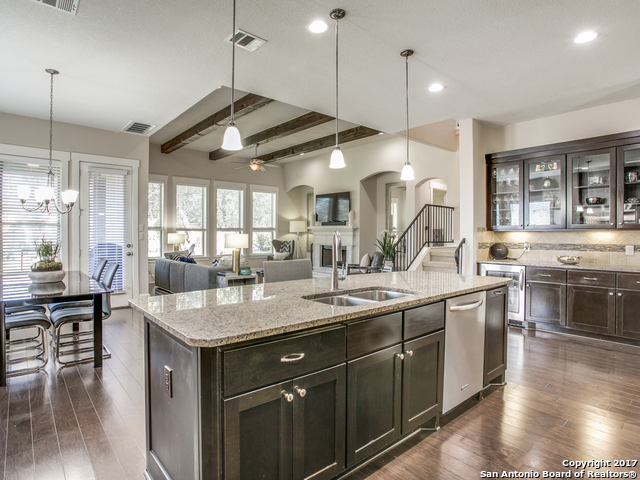 All DOMINION/NEW GARDENS homes currently listed for sale in San Antonio as of 04/25/2019 are shown below. You can change the search criteria at any time by pressing the 'Change Search' button below. "Look no further...extraordinary home in The Dominion. 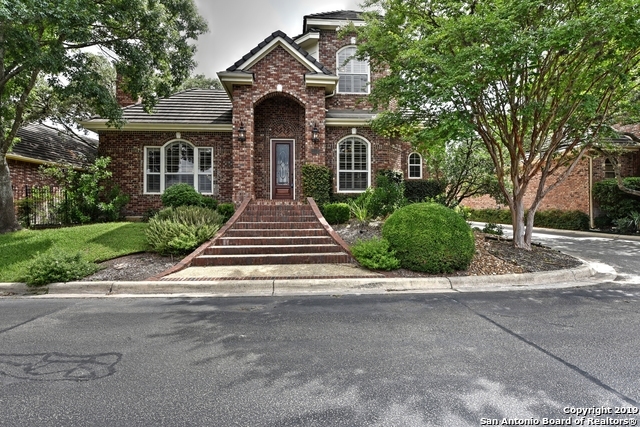 Fabulous 2 story sits on a lush corner lot with an oversized backyard. $10K recent backyard renovation for relaxation or family fun. Elegant elements and impeccable design combined to create a remarkable home that has been enhanced by the finest finishes. Abundant natural light, open floor plan with endless entertaining opportunities, kitchen designed to accommodate multiple chefs, high ceilings, numerous seating areas and walk-in closets thr"
"Pristine garden home on private greenbelt in The Dominion. All stone ext, tray ceilings & plantation shutters throughout & unique wet bar area open to dining room. Family room w/ gas rock fp, recess lighting & open floorplan. Island kitchen w/ granite, recessed lighting, gas cooktop & open to fam room. Lg master suite w/ tray ceiling, wood floors & sitting area. MBath has custom Cali closet, tile floors, his/her sink & sep. shower/tub. Outdoor living, landscaped yard --plenty of room for pool! N"
"Original Burdick custom home, recently updated. Featuring seamless flowing layout, spacious bedrooms, great entertainment space and living areas. Granite kitchen counters, fireplace, cedar closet, covered patio for outdoor living and entertaining. Home theatre projector and screen convey, TV convey"